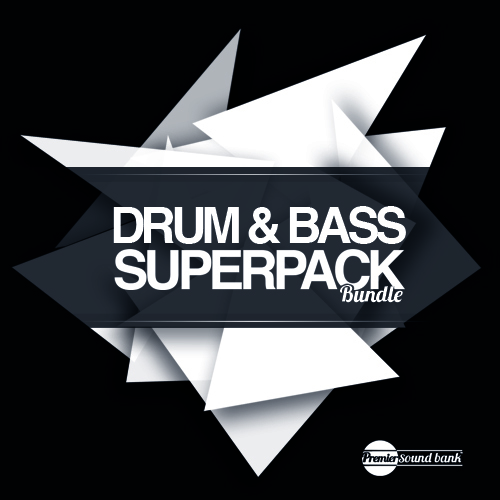 Drum & Bass Superpack Bundle is the second release in our new Bundle series at Premier Sound Bank. By combining two of our most acclaimed and popular packs, Drum & Bass Superpack and Drum & Bass Superpack Volume 2 are now available as one absolute monster of a superpack. With over 700 sounds in total and clocking in at over 700MB unzipped this is no doubt the biggest and best Drum & Bass sample pack to hit the market. Please note that both Drum & Bass Superpack’s are available to download invididually at ADSR Sounds.